If you want to send a large piece of a spacecraft into orbit that can later be assembled into a larger product in space, it is common practice to build it on Earth and design it to fold up so it can fit into a rocket. For the past year, NASA has been working with Tethers Unlimited, a space technology development company based out of Bothell, Wash., to find a better way. 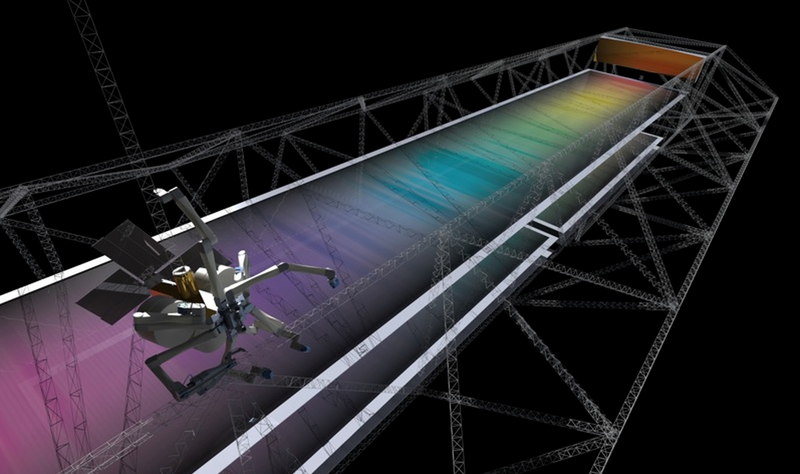 The space agency just awarded Tethers Unlimited an additional $500,000 to continue developing SpiderFab, a robotic 3D printing and assembly system that could build structures larger than half a mile wide in orbit. Instead of specially engineering spacecraft components to fit into a rocket, NASA could densely pack materials like fiber and polymer into existing spacecraft and create the components while orbiting the planet. This cuts down on cost and opens up the possibility for larger spacecraft. Tethers Unlimited will use the money to develop ways to build support structures and parts like antennas. It is also working on ways to build large solar arrays in orbit. “Once we’ve demonstrated that it works, we will be well on our way towards creating football-field sized antennas and telescopes to help search for Earth-like exoplanets and evidence of extraterrestrial life,” Hoyt said. Interesting technology. Maybe they are using an extrusion method that cools as soon as it leave the nozzle rather than relying on gravity like a normal 3d printer. This idea is so friggin cool. Seriously, let’s spend $1tril/year on stuff like this instead of defense. Check out Made in Space. They’ve built a gravity independent 3D printer. Not necessarily, using a laser & metallic particulate (metal dust) they could use the inertia of the dust (since there will be no resistance) to get it where they want it & the laser could sinter it very precisly, and an elaborate catch system for overspray could eliminate waste since there would be very little if any contaminants floating around in the space. Awesome. Perhaps this tech could be allied to the solar collector idea to beam power back down to earth via microwaves. why not is the same as accepting a challenge for the future.